Just sign one or two pass rushers via the free agency, then treat a prospect as a luxury if you need to. past two years, sign him and let him compete with Sean Davis. Worst scenario, Sean Davis starts and Tre Boston can play Nickel, he actually can. I found it interesting that when I looked at the class for inside linebackers via the draft and free agents, it's not really a good class. Aside from Mack Wilson who is a perfect Cover 2 LB who can play in any coverage, the other inside linebackers are strictly zone LBs. My proposal? Start Morgan Burnett at ILB, MACK. He already has been playing from the position not just for the Packers, but for us too. You'll notice this a lot in the later part of the season. The functioning of 4-2-5 is mostly to stop the spread. It's much more efficient because it's much less reactive and more about duties, the two inside linebackers would be watching the tight end and running back. If one of them stay home, you blitz. First, the Steelers HAVE to decide what defense they want to do. When they drafted Burns, it wasn't that they overdraft him; he's strictly either man/zone, now we have Joe Haden which is forcing Burns to play more Press, not his specialty. Do we compliment Haden NOW? Get DeAndre Baker. Unsure what to do? Amani Oruwariye. Both of them could slip out of our slot in the first round, doubtful but that's the corners we have now. Secondly, with supposedly a FA, we can draft an immediate pass rusher or a project (I rather that we draft a project with ONE mastery at least). Should be able to get one in 2-4 rounds. I like Oshane Ximines to Ngakogue. He's small but he's very intelligent and already has the moves that you don't have to teach at next level, perhaps more conditioning. NOT like Jarvis Jones who was master of NONE. While I want to detach to the idea of Chase Winovich (he'll rise on the board) to the fact we already have TJ Watt, but if we want to counter to running QBs, Winovich would be perfect. Watt is more aggressive than Winovich, but the skillset is there. Charles Omenihu, I actually like him a lot. I think he's a perfect compliment to Watt. Forget asking our pass rushers to drop back, that shouldn't be their problems anymore. Omenihu is a 4-3 DE, very long and his hands are so violent he usually sacks or tackles players with a blocker STILL on him. Raw with moves but his speed to power converting is really great and he's already a good run stuffer. Lastly, the area of focus is linebacker position. In the 4-2-5, ideally one inside linebacker would be a "Cover 2 LB" and other would be a Mike (staying home, play in the zone, and blitz upon duties). It's getting harder to find an inside linebacker who can play Cover 2 well, in a variety of duties. I was so mad when we got Edmunds over Darius Leonard, I projected him to go in first but he fell to the 2nd round and was practically a pro bowler. Anyways, I don't see anyone who could replace Vince Williams other than Devin White and he'll be gone by then. This means we are more likely to look at a tough safety who can study Burnett and take over eventually, that player I really like is Jonathan Abrams. No, Abrams isn't playing linebacker; Edmunds would be, Abrams is just a guy who would replace Edmunds at the strong safety position, his strongest suit is the coverage anyways. We are more likely to look to find a backup LB to Williams in the draft than we are to find a starter (this is telling you something) with Mack Wilson, the ideal Cover-2 LB for us, is likely to return for his Senior year (darn it) TJ Edwards and Ben Burr-Kirven look like a good developmental prospects, albeit Williams type. After doing all of this, I'm getting a really good feel in what is the strengths and weaknesses of the draft class, I could tell where we would be needing to target whom at where and which. You guys would notice that I didn't mention Josh Allen. If we do get him, he'll just drop in the coverage more and we would encounter the same issue again, not just- he's gone for sure by our pick. Any prospects you think would be a good Cover-2 LB? Any late-round pass rusher? Any thoughts on the 4-2-5 scheme? i doubt tomlin and butler come up with stuff like that. While I agree, by toward of the ending of the season, I saw more 4-2-5 look out of our defense. If it was still a 3-4, we would have seen more of Hargrave and we didn't. I think Dupree even took fewer snaps and Watt spent more time pass-rushing. the 4-2-5 defense is with 3-4 personnel and I think while we may keep 3-4 around, I most definitely can see us go 4-2-5 more too. the difference between 3-3-5 and 4-2-5 is blitzing vs pass-rushing. 3-3-5 would work well if we had really good corners, we don't, hence why I mentioned going the route of drafting Press CBs. It's a good class for that too. I think if we got a guy like Vance Joseph, we could see this scheme implemented, among others. I think our D would end up looking far different overall in what its doing than ever before and it could be done with at least some of the guys we already have. Regardless of the scheme, the defense needs more talent and playmakers. Its going to continued to be flawed until we get that. And with the news that Butler is returning, I can pretty much guarantee this doesnt happen. On top of that, we only have 2 decent DBs on the roster, and maybe Edmunds if he can be coached up (a good bit). Burnett looked decent towards the end too. Personally, I dont care what scheme we run as long as we have the talent and it is run well. On top of that, a base defense in todays league doesnt really mean much. 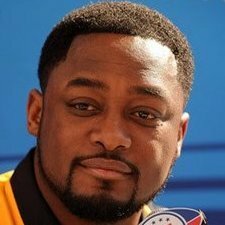 We havent drafted players specifically for a scheme in awhile. They try to draft players they feel are versatile enough to play different roles in different formations.....but have failed pretty bad at that. Bottom line, I seriously doubt THAT much changes with the defensive scheme going into next season. The defense was actually playing much better the 2nd half of the season, despite lack of talent and being put in bad situations....which IMO is why Butler is being retained. If we dont add a good bit of talent, I dont think it will matter either way and defense will just continue to stagnate. Good point. I do sometimes wonder if the Steelers elected to keep Butler around because they didn't feel like there wasn't any good option as a defensive coordinator. This off-season definitely looks like a good season to get a defensive coordinator. It was still a 3-4. Dupree was knocked up, Chikilo played more. They took the NT off to play nickel like they have the last 5 years. So they were really in a 2-4-5, not a 4-2-5. I appreciate the effort on this post but a couple quick things. 1st if burnett is playing one of the 2 lb spots then this is a dime defense. 2nd if we run dime as a base defense we are getting run on worse than we already do. Like was already mentioned base defense doesnt mean a ton anymore because the league is about sub packages more than it is not. The Steelers play 4-2-5 defense but the ends are OLBs. Alignment is not going to matter as much as talent. I would love to see the flexibility to move to a hybrid defense at times with Hargrave and McCullers ( or any other DT) playing 2 gap and then 2 one gap players on the end. Ravens run it. Patriots run it. Just get a pass rushing specialist and do not worry that he can't cover a RB in the flat. But the assignments are the same. Heyward plays 3 tech. Watt generally plays 6 tech. Dupree has done 6+ tech. Tuitt or Hargrave will do 1 tech. 2-4-5 give them more flexibility at disguising the rushers. While you are right, it’s all based on how many linemen are in a stance. I think if you asked TomBut, they would say it’s a 2-4-5, especially in the way they tend to rush 3 off that and drop 1 at times. Either way it’s a 6 man front (base). A 6 man front will get beat quite a bit in the NFL unless you have 1 maybe 2 stout interior DL, and at least 1 edge guy that can contain. 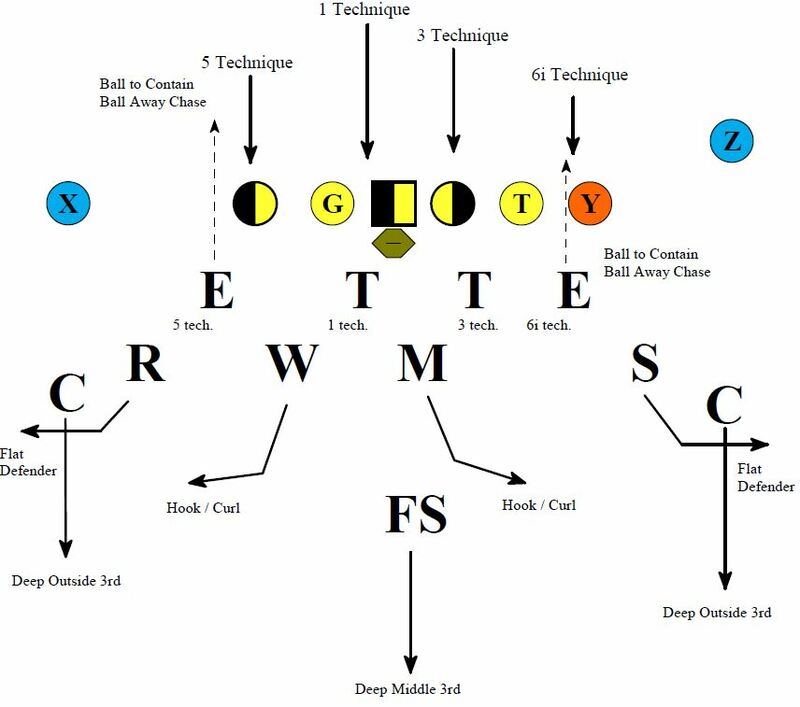 On top of that you need 2 LBs that can take on blockers and go sideline to sideline. We have maybe 1 of all of that. On top of that the OP is suggesting using Burnett in on of those LB spots. And how do you align the DL, bring in 1 or 2 DEs, and keep using everyone to the best ability? Cam isn’t a strict IDL, but on the edge, he would get exposed quite a bit IMO. He may be able to cut it as a base end, interior pass rush. Tuitt won’t fit in a 4-3 front at all. He’s all 2 gap 3-4. Hargraves could do it, but he’s not much of a run guy. Then what happens with Watt? Way too small to be a DE, but he’s best around the LOS, so you can’t put him in the off line LB spot. Which is why I stated I really like Omenihu, he's a 4-3 DE. I think the difference between 2-4-5 and 4-2-5 is really this: blitzing vs pass rushing. Derrick Morgan is a free agent, I'd like to have him as well.